The Subaru Global Platform (SGP) has been a boon to sales as we can see with the new Subaru Impreza and now the 2018 Crosstrek. Both models with the new SGP are selling like crazy and setting new sales records. 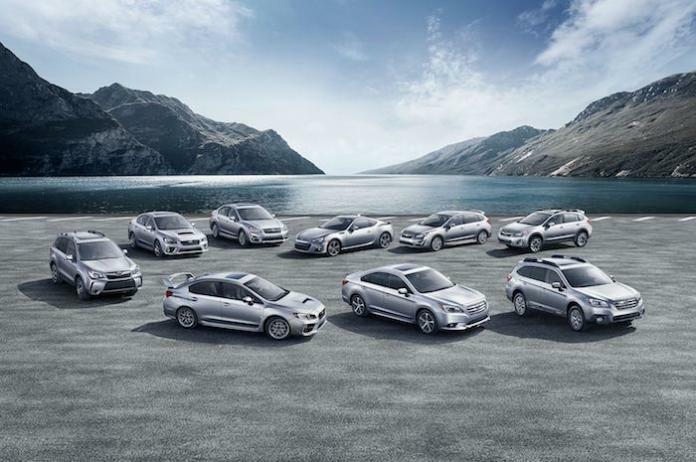 Subaru hit a home run when they spent $1 Billion on developing the new architecture that will underpin all new-generation Subaru models. When will the Forester SUV, Outback wagon, WRX and WRX STI performance cars, Legacy sedan and BRZ sports coupe get it? There’s also two new models coming according to reports by Automotive News. Forester: The 2019 Subaru Forester will be the next model in the brand’s stable to get the new Subaru Global Platform. True to Subaru’s 5 year life-cycle, the Forester is next in line. The fourth-generation Subaru Forester, introduced in 2013 as a 2014 model, is showing its age and it’s ready for a complete remodel. It will arrive next year. Ascent: The all-new Subaru Ascent 3-Row Crossover will also be arriving next year and it will be Subaru’s re-entry into the 7-8 passenger segment. The new Ascent will be the biggest vehicle the Japanese automaker has ever built. It will be manufactured in the U.S. factory in Indiana, and it will be only for North American consumers. The Ascent will ride on a modified version of the new global platform. Plug-in hybrid: A new plug-in hybrid will make its global debut in 2018 and it will be built on an existing nameplate. Subaru has not released details on which model will get the new hybrid technology, but we are speculating it will be the new Crosstrek. The Crosstrek attracts the brand's youngest buyer, and millennials will be the most likely to buy this new fuel-saving vehicle. Outback: The Subaru wagon is surprisingly selling better than all other vehicles in the brand’s stable. Even without a remodel, the wagon is setting new records and leading the charge. When Outback does get the new SGP in 2019, look for the new model to skyrocket with consumers looking for an SUV alternative all-wheel-drive vehicle. Legacy: The Legacy is the only sedan in America that comes standard with all-wheel-drive, but sales are slipping as they have with all sedans in the U.S. market. Legacy will get the new SGP in 2019 and it will help revive interest in the sedan as sales have been steadily dropping the past two years. WRX and WRX STI: The performance models will be the next to get the new Subaru platform and they will arrive in 2020-2021. The sedans are due for a complete remodel and fans are hoping for more changes like a new 5-Door hatch body style to return, and a new FA20 2.0-liter DIT power plant under the hood. Neither has been confirmed by Subaru. BRZ: The Subaru BRZ sports coupe is still the best sports coupe for the money, but it needs a remodel. Subaru has confirmed BRZ will see a second-generation model along with it’s twin, Toyota 86. The remodel will come in 2020 and it will be the next-to-last Subaru model to get it. Will fans get a turbo added to the 2.0-liter boxer engine in the sports coupe? Don't bet on it. Subaru EV: A new Subaru electric vehicle is coming and it will arrive in 2021 or 2022. Subaru is going the all-electric route alone and developing the technology themselves without any help from a larger automotive partner. The new EV will likely be built on an existing nameplate and not be an all-new vehicle. Stay tuned.